Turkey Thigh Meat, Water, Contains 2% Or Less Of Dextrose, Salt, Cultured Celery Juice Powder, Potassium Phosphate, Vinegar, Smoke Flavor. Sliced turkey ham; 0.60 oz. slice weight. 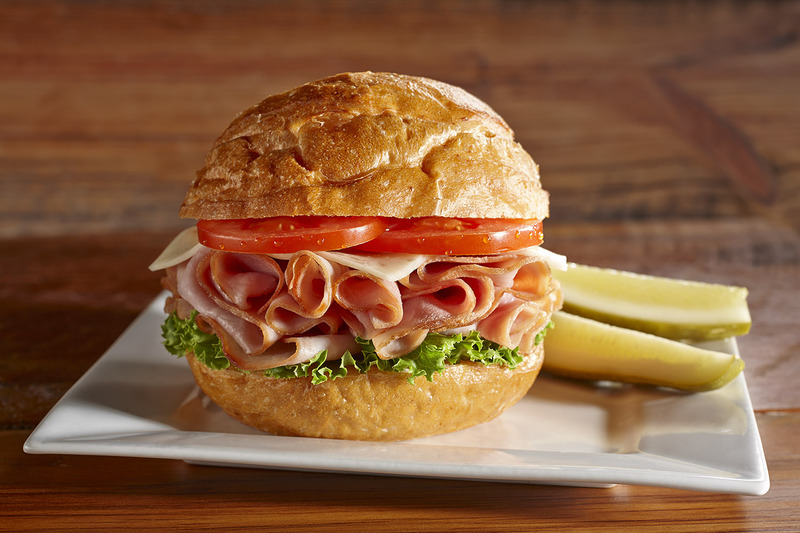 Sliced turkey ham; made from 100% high quality turkey, this product is sliced and vacuum packaged to ensure freshness; 0.60 oz. slice weight. This product is perfect for delicious sandwich or wrap creations. I certify that a 3.58 oz. serving of the above product (ready for serving) contains 2.00 oz. of equivalent meat/meat alternate when prepared according to directions. I further certify that any APP used in the product conforms to the Food and Nutrition Service Regulations (7 CFR Parts210, 220, 225, 226, Appendix A) as demonstrated by the attached supplier documentation.